If you're a member of MJJCommunity (one of the largest international Michael Jackson fan clubs & forums) you may have noticed a feature/interview about Major Love Prayer in the newest Legacy Project Newsletter. Below is the excerpt, discussing how the prayer began and more about the reasons for it. Thanks so much, Legacy Project Team! L.♥.V.E. Welcome to the MJJC Legacy Project Newsletter! In this issue we have some interesting words for you. This time about projects that provide us support, love and other important things we need to focus on in hectic, hard times. We want to ask each member and every fan to remember we are one and that we have to unite to make that change. We would do Michael proud when we reflect, have a higher conciousness and are able to always rethink our actions and behaviour to make the best out of ourselves. Read on to find out how you can do your part, help others and be inspired. Remember that it starts with the person in the mirror! - What is the Major Love Prayer? Each month on the 25th at exactly 2pm/14:00 Los Angeles time thousands (hopefully someday millions?) of fans all over the world join together in hearts and spirits for a few minutes to 'send out a major love'. Our united goal is to spread the energy of love, peace and healing to everyone and everything, to essentially heal the world with L.O.V.E. We use the word "prayer", but if you're not the type of person who prays, please don't let it stop you from joining us! In that case, consider it a meditation, wish, affirmation or even the sending of an 'intention'. The important thing is that we do it together as one and with love in our hearts. - How can you participate? What do you need to do? - How did you come to the idea to set this up? Well, in September 2009 a group of fans on another MJ forum began a monthly global prayer they dubbed "sending out a major love". I personally discovered it five minutes before the start of October's event. My first thought was, "Wow, how cool! ", because I know of many studies that show this kind of thing can truly have an effect. Plus, what a wonderful way to keep us together as a community, to potentially change the world and to continue Michael's legacy through three things he believed in: LOVE, healing the world, and prayer. A couple of weeks later, we all decided that a website would be a perfect way to spread the word and get the whole world together, so www.majorloveprayer.org was born. Since then many fans have contributed with translations of the prayer instructions and have spread the idea on MJ forums, websites, Facebook, Twitter, etc. It's really a group effort in all ways. - Why could it be important for fans to participate in this moment? I think this is important on multiple levels. To begin with, it brings us all together in unity for something entirely positive, no matter what our nationality, religion or feelings about the circumstances of Michael's passing. MJ fans are a family and we need to stay together as one, "with love". 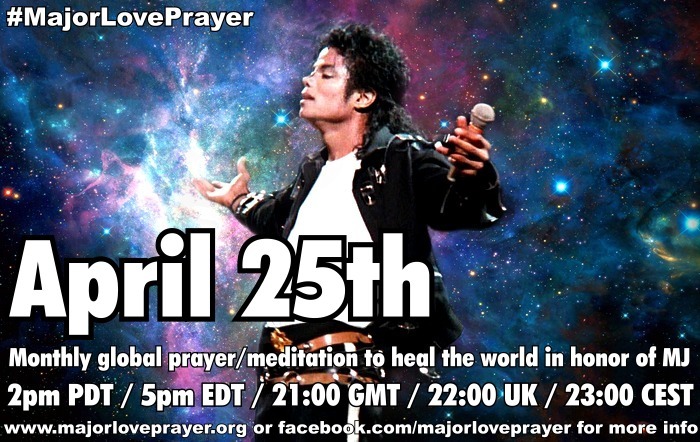 People who participate in Major Love Prayer have said it gives them real comfort and a greater sense of peace and connection to each other and even to Michael. Nearly everyone who has done it once wants to do it again. And what could possibly be wrong with thousands of people focusing on LOVE? 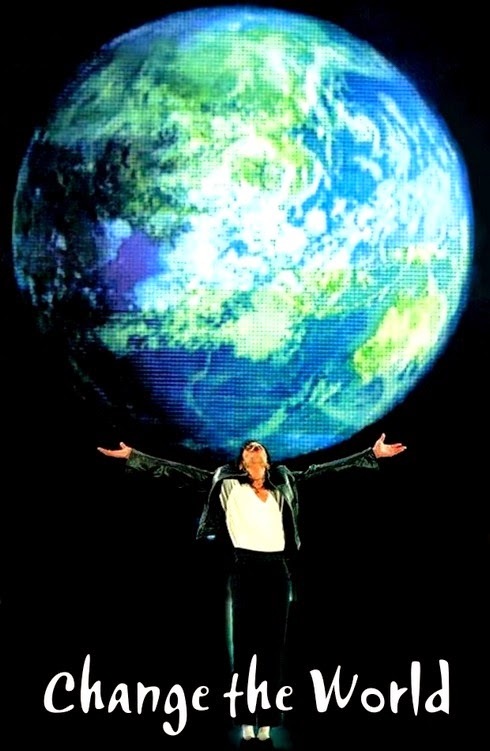 How many times did Michael ask us to love one another, to give this love to the world? Maybe it can expand our compassion and uplift our hearts so that we can take this outside into the world and turn it into action; action that both heals the world and preserves Michael's beautiful legacy of LOVE. -Anything else people need to know? We'd just like you to know that it's important to double-check the prayer time each month. The event time is set to 2pm in Los Angeles, so whenever the U.S. or other countries change their clocks for the season (in spring or autumn), this can shift your prayer time by an hour. We keep an updated time zone chart and a live countdown timer on the website to keep everyone in unison and post updates there as well. We're also on Facebook and Twitter, so that's another way to get updates. Thank you, Project Legacy Team and MJJC! Major L.O.V.E. to you all. Larry Nimmer's important documentary about Michael Jackson: The Untold Story of Neverland Also please check out this YouTube video about it from the Santa Barbara International Film Festival! A special message about Michael and spirituality from Barbara Kaufmann of InnerMichael.com.